Ripe banana face packs are good for oily skin. Get a natural healthy hair mask from ripe bananas. You can treat dark circles with them. Can make skin look naturally young. Have you been throwing away the overripe bananas? You may not want to do it from now onwards after knowing that they can prove to be gems for you beauty regimen. You can use overripe bananas to solve all your beauty problems and make your skin look young and glowing, treating all your skin related problems from dark circles under the eyes to frizzy hair. 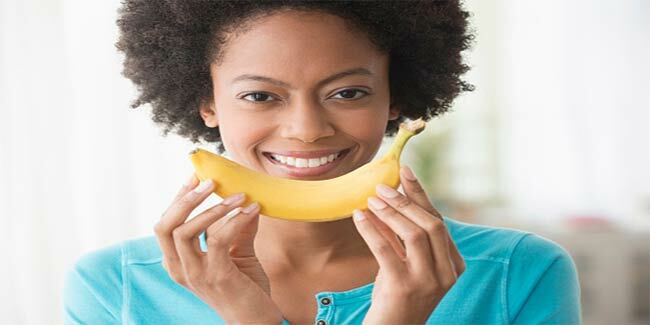 So, instead of throwing a ripe banana, make full use of it to fix your beauty problems as it contains several vitamins and minerals that your skin need to regenerate and repair itself. Here is how to use ripe banana to treat skin problems. Take a ripe banana and mix it with 3 tablespoon of lemon juice. Apply the mixture directly on your skin and leave it for 10 minutes. Then, wash it off with cold water. This natural face mask helps eliminate all the excess oil from your skin without even leaving it dry. Mix a banana in a half cup of curd and a ripe avocado to prepare a paste. Now apply this on your hair and scalp. Leave it for 15 to 20 minutes and wash your hair with cold water. This hair mask will make your hair shiny and soft. Instead of using chemical creams on your skin, try banana as a moisturizer for your face. All you have to do is mash a ripe a banana and apply it on your skin. Leave it on for 10-15 minutes and then wash it off with water to get a soft and supple skin. You can also ripe banana to get rid of face wrinkles. Mash a banana and one tablespoon of honey to it. Apply the mixture on your face, gently massage the face and keep it on for 15 minutes. Apply this two times on your face to clear the wrinkles away. Wash it off with warm water and pat dry. Take a banana, 3 tablespoons of oats and 3 tablespoons of cocoa powder to prepare a mixture. Now apply this mixture on your skin and massage in a circular motion for 10 minutes. Wash it off with lukewarm water. To treat dark circles under your eyes, rub a ripe banana 5 minutes daily. Rubbing banana under your eyes will help fade away the dark circles, as the calcium in a ripe banana will work against the dark circles.